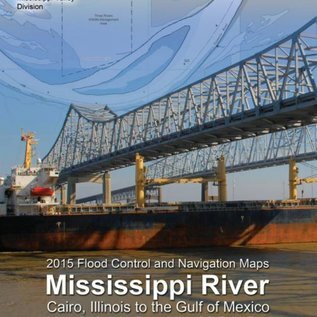 The 2015 Mississippi River Navigation & Flood Control Book consists of 111 map sheets developed to 1:40,000 publication scale. 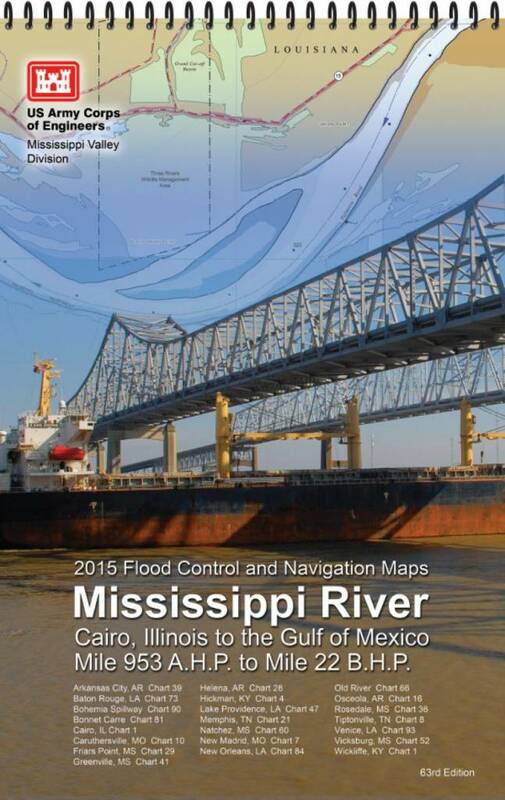 The book maps the Mississippi River from river Mile 953 AHP at Cairo, IL to the Mile 23 BHP at Gulf of Mexico, to include the Passes of the Mississippi River Delta. The Mississippi River, at over 2,300 miles long, is the longest river in the United States (when combined with its tributary Missouri River). It drains most of the area between the Rocky Mountains and the Appalachian Mountains. The U.S. Army Corps of Engineers (USACE) is responsible for providing data pertaining to navigation on and along the river. As part of a comprehensive mapping project, USACE developed updated Flood Control and Navigation maps as well as Hydrographic Survey maps for the Mississippi River.